Videocon has come up with some of the best variants of flat screen TVs. However, when these TVs start having problems it is absolutely necessary to get them fixed by experts. Do not ignore even the minute problems in your TV as they might eventually take a bigger and grater shape. In order to help you out, we at dial and search, provide the best Videocon TV repairs in Bangalore. Our repair technicians are able and efficient enough to sort any problem that you experience with your TV. Simply call us for an appointment, to get your job done quickly and easily. Videocon TV Service Center-Why choose us? Our local technicians have received proper training of the latest technologies in TV repair. We also have the access to the best Videocon TV parts. So, even if you have to replace a part; our experts will come in your service and get your job done without any hassle. Your satisfaction is all that we crave for. 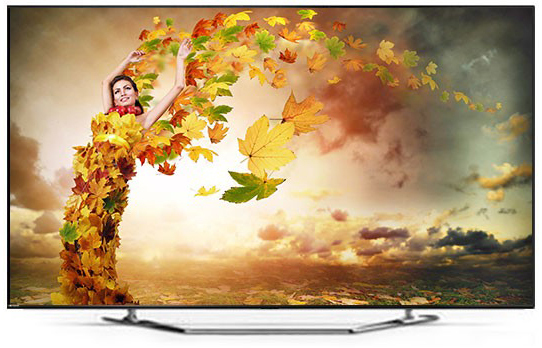 Thus, we ensure that the support provided to you meets your requirements and lets you enjoy the best from your TV. We are simply a call or a click away. Contact us, for the high quality repairs in the best rates. Apart from offering services of unmatched value, we also have a policy for warranty. Our services have a warranty for a specific time-frame. On top of that, right before the service we also provide a complete check-up where your TV is checked and the issue is analyzed. Before you avail our services, we provide you a complete insight about the rate which you will be charged. There are no hidden costs and extra charges for any of the services we provide. We charge proper market rates that will definitely not make a hole in your pockets. Thus, consult the Videocon service center in Bangalore for unmatched service value for your Videocon TV repair. Videocon is a leading TV brand, but, when you use the TV for quiet sometime, it is likely to be dysfunctional due to major or minor issues. One of the most common issues is a single vertical line, at the center of the TV. In such situations, the supply voltage is checked by our experts. If there is a defective yoke in the voltage line, we get it replaced with a branded part. Again, if the vertical line is appearing due to the Vertical IC, our experts check it and fix it readily. Another common issue with your TV is the appearing of Horizontal lines in the TV picture. Here too, there might be a problem in the Yoke. This might also be caused due to lose connection and a defective capacitor. Our deft team will identify the problem and will ensure that a proper solution is imparted for it. Besides the mentioned problems, we also fix any other impending issue that you experience with your Videocon TV. Simply consult us at the Videocon TV service center in Bangalore, and get your TV issues fixed in a jiffy.